In my last post I mentioned a few specific terms that might have different meaning to me than they do for my readers. I must lead by example, therefore I should probably explain myself. This paragraph appeared in my most recent post. The experts in early literacy development know the importance of immersion in the discourse and language of the community. Simply: experiences with language build understanding of language. Classrooms should be text rich environments. Whether it is a kindergarten class or year 10 class, their learning environment must be filled with subject based vocabulary and environmental print that supports it. Words or images that label, signal or simply exist in the world around us are considered to be environmental print. Kindergarten teachers are great at providing environmental print for their early readers and writers. They label furniture, play areas, work spaces, resources, materials and student cubbies. Labels use words and images so students are able to make connections between the symbols that form the words and the things the words name. Kindergarten teachers are great people and we can learn a lot from them when it comes to supporting and enhancing the literacy skills of our students. Environmental print comes in all shapes and sizes and while it might seem inappropriate for middle school teachers to label the furniture, there are plenty of ways that we can construct text rich environments for our students. Once I noticed that I hadn’t really defined Environmental Print, I also realised that I had be writing about Anchor Charts and Posters as if everyone knows the difference between these two wonderful resources. I shouldn’t make such assumptions. I know better than that! 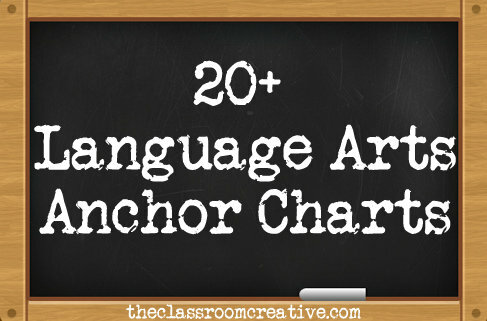 If you construct the chart to revise key concepts, record learning and with student input – they don’t have to physically write or draw on the chart – then you are creating an anchor chart. I think of these as displays that anchor the learning. In my personal opinion, a word wall is a big anchor chart. When charting with students you are constructing learning, recording ideas/ suggestions, gathering your own information about their knowledge and helping students to make connections between past and future experiences. Charts should be titled, easy to read/ reference, include images and be relevant to the current learning in the classroom. Charts are dynamic and – in most cases- will not remain on the wall for very long. If the charts end up as permanent fixtures, the students will be less likely to access them in any real way. I see posters as being commercially produced or created solely by teachers. Students might create their own posters for various purposes and obviously they will be displayed in the classroom too. Posters might not always be directly linked to the current learning in the classroom – but be purposeful at the same time. Posters will be colourful, possibly be school mandated, might be teacher created, probably display subject specific information, may even be on display all year round and definitely have a real purpose in your classroom. That’s that then. I think you get the idea. I could show you some photos of posters vs anchor charts, but I think you get the idea. Maybe we should create a chart? I’ve written about W ord Walls before. They are specific spaces in the classroom that display key words related to the current unit of study. They are spaces that develop over time and are constantly being used by students and teachers. If students are not using the word wall, it isn’t fulfilling it’s purpose. Every classroom should have a word wall and it should be a dynamic space which includes images as well as words. Here is the most recent word wall in my classroom. My students are completing their final assessment for the unit during our next lesson, so it is in it’s final stages. The students completed a matching activity in order to construct the word wall. Our Latest Word Wall: students matched vocabulary words to definitions and drew images or provided examples (in the yellow circles) that helped them to remember what the word meant. They particularly enjoyed the cut/paste/create aspect of this activity. Charts can be a great reference for students during independent literacy tasks. Charts can remind students of reading strategies, text type features, activity instructions and locations of resources. When explicitly teaching a reading strategy – especially in the upper grades – a chart can list the steps of a process and provide symbols or visual cues that assist students in eventually using the strategy themselves. For example: using post-its to mark text and signpost important information for summary, comprehension and perhaps analysis. Here is a chart that displays symbols for marking text using sticky notes – it also reminds students of the text features that can be important for readers to signpost. Symbols for marking text when close reading. Click the image to visit the source. The next chart shows a mnemonic for CLOSE. The teacher used it to teach the students the steps involved in Close Reading. Click to visit the source. Checklists with visual cues make excellent charts for student reference during any of their classroom activities. Students referencing these charts involves them in purposeful reading too – it’s win/win. Click the image to visit the source: an excellent teaching blog. I’m not the definitive source on classroom charts supporting literacy. There are hundreds of great teachers using charts in their classrooms and sharing them online! Click the image to go to the Classroom Collective and see more examples and links to some great teaching blogs. What vocabulary is essential to understanding key concepts in your subject? What visual displays have you made available to your students that will help them to develop their understanding of key vocabulary? What skills or processes do your students need to learn for success in your classroom? How can you help students develop these skills and enhance their literacy skills at the same time? What visual aids do you use in your classroom? Do they contribute to positive literacy outcomes as well? I will be back with more about the use and importance of charts in the classroom – hopefully before the end of the month. After my last post, I snapped a few more photos of charts and posters in my classroom. Hopefully this will give you a better idea of how I use charts in my classroom to support my students with good choice behaviours. I also had a great conversation with my students on Monday last week, regarding behaviour and our classroom. We had a Discipline Audit happening in the school (an auditor from the Ed Department visits the school to see mountains of paperwork and talk to teachers and students) and I prepped them for a possible conversation with the Auditor. I asked, “What do we have in our classroom that helps you make good behaviour choices?” The responses they gave to that question were truly uplifting for me. They pointed out the posters and recited the rules. One student said, “Miss H, you are the main thing we have to help us make good choices. You remind us of the rules and you spend lots of time making charts and posters and putting them up in our classroom. If you didn’t make the rules clear, we wouldn’t know what to do.” I have to say, this is my favourite class in a long time. Sigh. I will stop rambling and get down to pictorial business. The Listening Monster below was in my previous post. But there is more to it than simply having it beside the board. I have the “STOP LOOK LISTEN” Sign above my Monster. 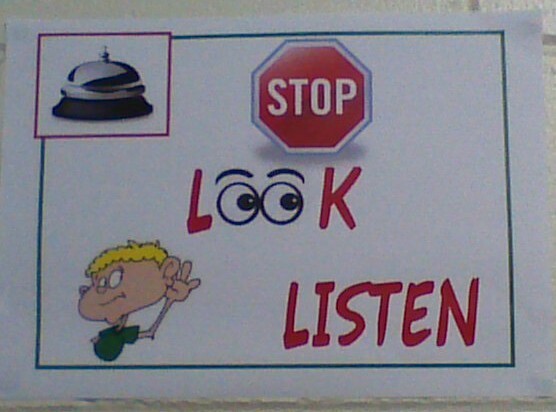 When I ring the bell, students know I want them to Stop what they are doing, Look at me and Listen for the next instruction. It is clear what I expect when they are supposed to be listening – be still, be quiet, pay attention. Some of my students have difficulty being still, but as long as their fidgeting is quiet and not disruptive, I can cope with movement. I ask for Monster Listening and point to my little Monster buddy when I need to encourage some students to catch up with the rest of the class. Establish expectations for listening: what does it mean to “listen”? What does good listening look like and sound like? I enjoy doing this task with my students and displaying the finished products in my classroom too. I draw a Peace Sign on the board and in each section we write an Aim High Principle (SWPBS) – Respect, Responsibility, Co-operation. The last section has a space for Safety. I lead the class in a discussion about each of the principles/ sections in the Peace Sign. While we talk about Respect, for example, we write rules that exist so that we show respect for each other such as raising our hands to speak. I ask questions such as: What does respect look like and sound like? What words show respect? What actions are not respectful? The discussion continues as students begin to create their own Peace Signs. This year I gave my students the option of creating Donut Charts instead of a Peace Sign – instead of writing about each Principle they chose one. The Behaviour Principle is written in the middle circle and words/ actions go in the outer circle. Students added colour before displaying them. Some of my students haven’t finished theirs yet, but they will be done as soon as our assessment is completed! Here are some images of rules and routines charts that are used in other classrooms. 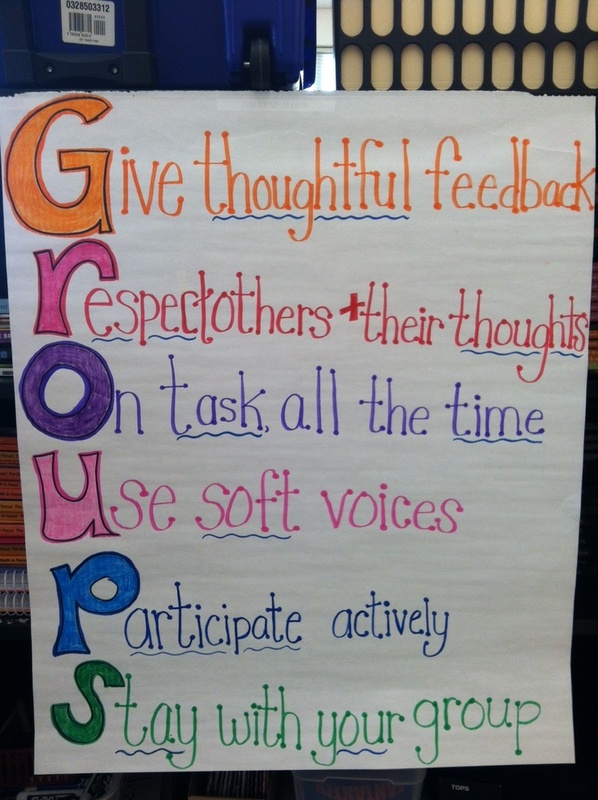 Making Group Work expectations clear with an acronym that describes how to behave during group time. Do you have difficulty keeping your students in check during the last few minutes of class time? They are so eager to get out the door! Sometimes we are just as eager to see them leave. Admit it, you have days like that too. Kelly has created a Dismissal Checklist for her class and I’m sure that the end of her lessons are far more organised than mine. One of my teaching partners used this idea for her classroom and found the end of the lesson was much calmer from then on. Check it out: click on the image to visit Kelly’s blog and see more of her classroom posters and charts. What to do in the last minute of class time! Classrooms are busy places! Rules and Routines are vital to a well-managed learning space. Charts and Posters are a great tool for establishing routines and reminding students of expectations. What charts do you use in the classroom that reminds students about routines, rules and results of behaviour choices (positive and negative). NEXT TIME: Charts and Posters for Supporting Literacy Learning. Every teacher knows that an organised and well managed classroom is vital to a successful school year. The key to a well managed classroom is the establishment of routines and guidelines that are methodical and explicitly taught to students. Teachers can spend as much time as they like on planning, tidying, arranging desks and making rules, but if students are not on the same page disaster will ensue. I am not going to lecture (anymore) about the importance of rules, routines and procedures. I am going to tell you that the best tool to support your routine establishment and organisation is the humble poster/ chart. Posters, signs, labels and charts are great reminders for students and even teachers in the classroom. Every routine that you have, should be written down somewhere. The most important routines you want your students to learn should be posted somewhere in the room. These posters/ charts might not stay up all year, but they should be there when you are establishing new routines. The best way I can think of to lead you through this is by showing you the visual aids that I use in my classroom specifically: to support routines and behaviour in my classroom. We won’t get into the argument about classroom rules vs. classroom norms or broad values. I have used both ideas in my classroom and I have found that either way, I need to be explicit about my expectations and remind my students of these often. 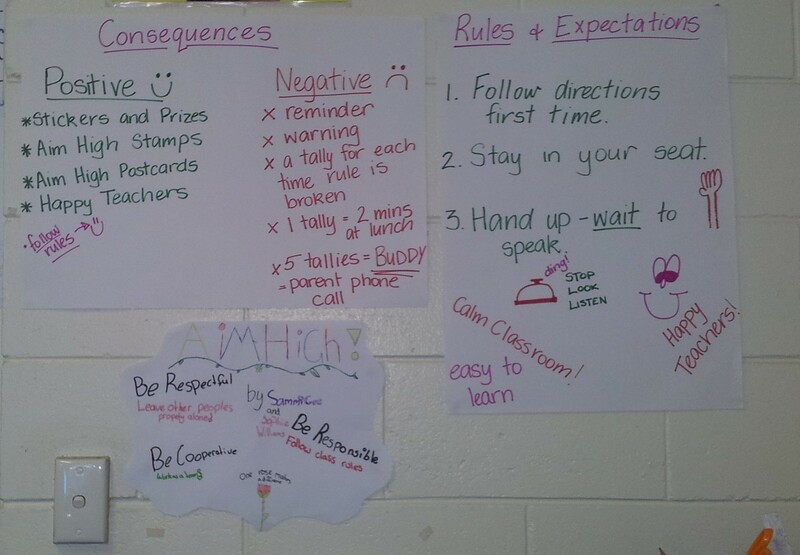 Here are my classroom Rules and my Consequences Charts. 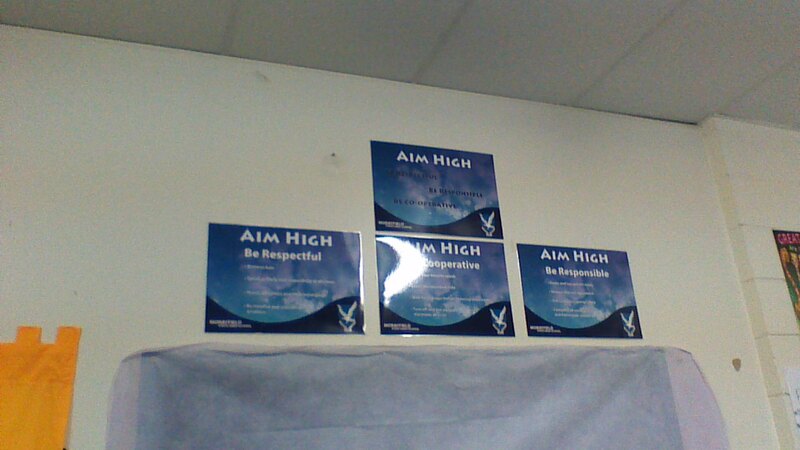 My school has a School Wide Positive Behaviour System, which we call Aim High. There are 3 overarching principles that we fit all the behaviour expectations into: Respect, Responsibility and Co-operation. Our school has posters for each area and they are displayed in every learning/teaching space in the school. You can see the posters below. The quality of the photo isn’t brilliant, but you get the idea. The same four posters are used all over the school. The library has posters that look the same at first glance, but have a few minor differences to make them more appropriate for the Library context. 3. Stay in your own space (hands, feet and objects to yourself, stay in your seat to avoid distracting others). I never exceed 5 rules and I find that 3 is a good number. It is easy to remember 3 simple rules. I have these posted on a single chart. I recently typed them up (one to each A4 page) and posted them across the top of the whiteboard. If I wasn’t having so many problems with technology this week I would attach the A4 rules charts to this post for you to see, but you will have to use your imagination. Having a separate sign for each rule allows me to have one rule as a focus and move it to a central area easily. It also means that everyone in the room can see the rules regardless of where they are in the room. The consequences show students what happens when rules are being followed and when students are making poor choices. There is a great deal of time spent on establishing rules and routines in my classroom and ensuring students understand what I expect. I don’t just ask my students to Listen – I tell them and show them what good listening looks like and sounds like – as you can see by my listening monster. You will notice in the photos above, there are some student created charts under my rules charts. The Peace Sign/ Donut graphic organiser forms the basis for discussions about Aim High Principles and what those qualities look like and sound like. We discuss and then the students create. This way, they are contributing to the display and are more likely to check it out and remember the expectations. Charts and Posters are a great reference (not only for the students) but for visiting adults. Imagine you are a Supply Teacher walking into the classroom and you see – on the wall, plain as day, for everyone to see – not just the rules, but the consequences. How much easier has the day just become for you, the Supply Teacher? Back in the days of Supply Teaching, I much preferred the classrooms that had charts and posters which made procedures and processes clear to everyone. The Whole Brain Teaching Classroom Rules are popular for many early years classrooms, but I’d wager they would work well with older students too. 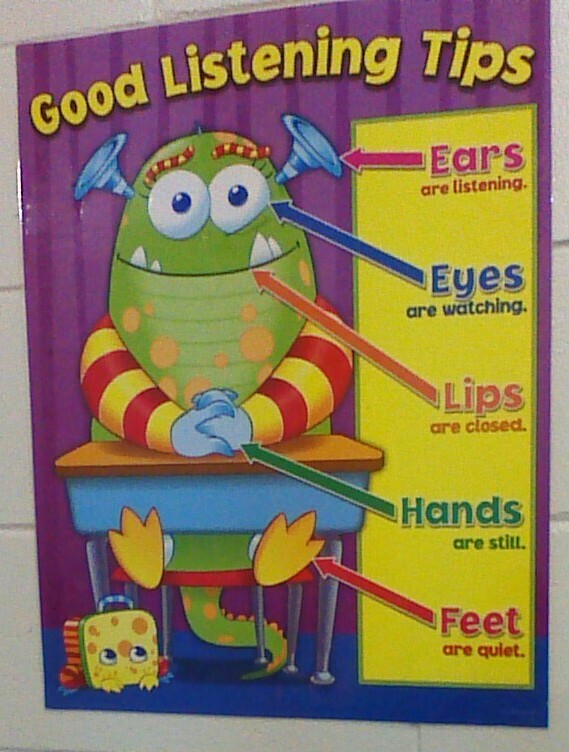 Do you have posters and charts in your classroom that support students to learn and follow classroom routines and rules? What do your posters look like? Do you encourage your students to contribute to the establishment of routines or the construction of posters and charts (specifically about behaviour). Please share your routines and procedures in the comments. I will have to find a way of getting you all to share photos of your classrooms. Ideas anyone? It is the first thing that students see when they enter the classroom. It is, perhaps, the most obvious and easily collected evidence of learning in your classroom. Many students, teachers, parents and visitors will judge you based on this one aspect of your classroom. They will walk into the classroom and they will see furniture, charts, posters, bulletin boards and they will “get a feeling” about you and your teaching. Is every inch of wall covered? Are there designated areas for each subject area? Does the “decor” look perfect as though a team of elves (or a very excited, perfection driven, wired, teacher) spent hours creating, sorting, clipping, trimming, sticking, aligning and arranging? Is the decor “pretty” or “purposeful”? Are your walls sparsely dotted with random charts and half-finished art displays? What does your classroom “decor” say about you and your teaching? Classroom Decor Ideas from Bugs n Blooms: click the image to check out more. Every question above is a loaded one! Some teachers love the decorating and organising side of classroom management, while others find it a chore. Primary (or elementary) teachers tend to spend more time on the look of their classroom and many feel the pressure to have a well organised and beautifully decorated room every day of the school year. In secondary schools there are many obstacles to classroom ‘decoration’ and many teachers in this setting simply give up. While some teachers seem to work in a sort of home room, they still don’t “decorate” as they worry about other staff/ students who may also share the room. They might think borders, posters, charts and prettiness are frivolous time wasters when learning time is already so limited. 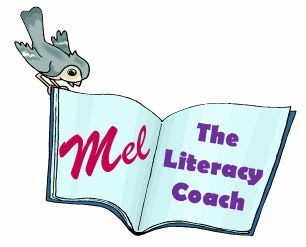 This month, here at Mel the Lit Coach, I am going to focus on Classroom Charts for Literacy and Learning. We will explore research and teaching practice regarding visual aids in the classroom. I will share some links to other blogs that give examples of charts and posters in various classroom settings and for various purposes. I will show you more of my classroom charts and posters as well as share some of my ideas for creating, posting and storing posters. We will compare student created resources with teacher created ones and commercial resources. I want to see your classrooms (if you have one) and learn from you. I want to know what you think about appearances in learning spaces and how they impact learning. I want to know how you arrange your classroom for maximum visual impact. I want this month to be a great learning experience for all of us.